Q: I am an active individual in my early 40’s. I jog 20 to 30 minutes a day, I don’t smoke and only drink beer or wine occasionally. My BMI is also acceptable for my age and weight. For the past 6 years, I have always had 1 to 2 cups of coffee daily. However, recently, I’ve begun to experience palpitations after drinking coffee. It usually subsides after I get some rest. Do I need to be worried about this? Should I visit the doctor for a second opinion? Palpitations are a common occurrence. 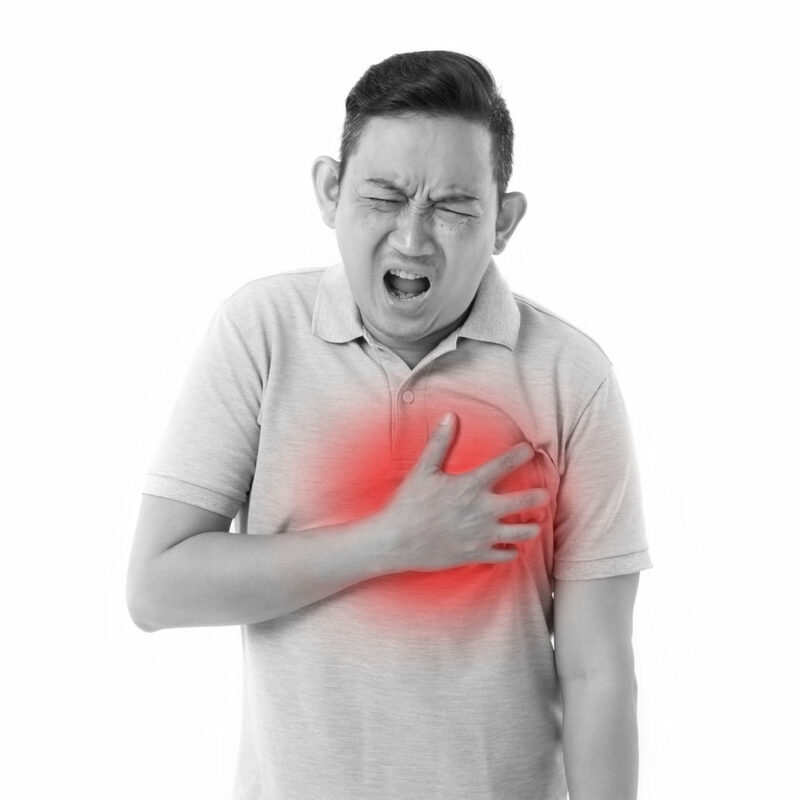 Most palpitations are “benign”, meaning that they don’t result in any serious conditions. The most common ‘benign’ form of palpitations is sinus tachycardia. This can occur when one is stressed emotionally or if one has an overactive thyroid gland. A simple blood test can be carried out to check your thyroid hormone levels to detect any overactive thyroid gland. Sinus tachycardia alone does not have any long lasting negative e ects, but you should visit a cardiologist to have the underlying cause investigated. Another common cause of palpitations that is more serious supraventricular tachycardia (SVT). This occurs if there is an abnormal electrical circuit in the heart conduction system. SVT is best diagnosed by a cardiologist, who can first detect it using a 24hr ECG monitor (called the Holter test) or even placing an electrode directly into the heart (via a catheter inserted into a leg vein at the groin). SVT can occur suddenly or while resting (i.e. not exercising) and it usually lasts between 20 to 30 minutes. SVT is not life-threatening, but patients usually complain of breathlessness and anxiety when they do occur. Treatments include anti-arrhythmic medications or catheter ablation therapy. Similarly to SVT, ventricular tachycardia (VT) can be a reason for palpitations. This is more hostile than SVT, as patients can faint from an attack of VT. VT is most often a result of underlying coronary artery disease (blockages in the heart vessels). Likewise, VT can be diagnosed using the 24hr Holter test, and your cardiologist is the best person to manage this. Lastly, if the palpitations are fast and irregular at the same time, then you might be suffering from atrial fibrillation (AFib). AFib is the most common arrhythmia, and is difficult to fully cure. Most people won’t realise they have AFib, unless the heart rate is more than 100 beats per minute at rest. Over time, uncontrolled AFib can lead to weakened heart muscles and without proper treatment (with blood thinner medications), the risk of getting a stroke from AFib is increased. It is best to speak to a cardiologist to get a better understanding of AFib.